It’s June, and summer is “officially” and seemingly “almost” here! 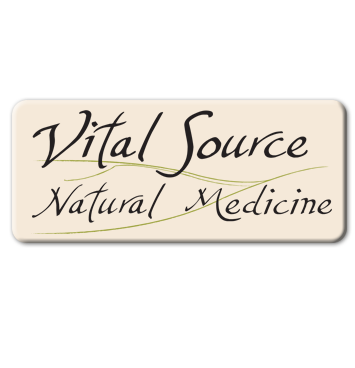 This newsletter includes two topics: news from Vital Source, and a few important points regarding digestive health. While you’re out running around and having fun this summer, don’t forget about your dietary choices and digestion….they’re key to your health from a naturopathic perspective! We are now carrying a new line of delicious medicinal teas from Wildroot Botanicals, a small family-owned company located just up the street in Bellingham. Their herbs are either grown here in Bellingham at their urban farm or out in the county at their larger farm. All of their herbs are either organically grown or ethically wildcrafted (picked). Their tea blends are well-blended for medicinal effect and flavor. They also come in re-useable tins! Check out their website: www.wildrootbotanicals.com. Check out Dr. Van Dusen’s article on stress management and natural treatments for stress in the Northwest Business Monthly! You can view it online HERE. The health of the digestive tract is something that most naturopaths address to some degree with just about every patient that walks through the door, even if they don’t have particular complaints in that area. Why is this? From a naturopathic perspective, the GI (gastrointestinal) tract is central to good health for everyone. It would take writing a whole book to explain all the reasons why, but below is a brief summary of three important topics (digestion, elimination, and healthy bowel flora) and suggestions for enhancing each of these areas. “You are what you eat”; a simple age-old phrase that bears a lot of truth. This may seem like a simple concept, but we are built from food. We digest (break down) the food we eat, absorb its nutrients, and then our bodies build cells and tissues from the fuel and building blocks these nutrients provide. One caveat before going any further….the first step is actually eating nutritious food (we can’t skip this one, or we’re out of luck)! However, if digestion is inefficient, even a highly nutritious diet will only go so far in providing the body with the sustenance that it needs to function properly. Eat in a relaxed environment. Your body needs to be relaxed in order for your digestive enzymes and stomach acid to be secreted. The muscles that move food in your digestive tract will only work when you are relaxed as well. The reason for this is that when the body is stressed or busy, it shunts energy toward vital organs such as the heart, and away from “less vital” processes such as digestion that can wait until later. When we eat in a “stressful environment” (i.e. working while eating, driving while eating, arguing while eating, etc), we don’t digest as well. Pay attention, and you’ll notice. To support ideal digestion, try to “just eat”, meaning sit down and have a meal without distractions (other than good company). Avoid multi-tasking while eating. Try taking several deep breaths before each meal; this helps the body to relax. Chew your food well. Our teeth have a great “mechanical” advantage. They do a w0nderful job of breaking down food so that there’s a lot less work for the stomach, pancreas, and intestines to do. You’ve got them, so use them! Cook your food. The digestive process actually begins when we see or smell food. The brain sends a message to the digestive tract that it’s time to eat, and in turn the stomach starts to secrete acid and the pancreas secretes digestive enzymes. When we pick up take-out and eat it right away, we skip this step. Avoid beverages while eating (for roughly 15 minutes before or after). Beverages dilute our digestive secretions (acid and enzymes), making them less potent and thus less effective. If you find that you need to drink a lot while you eat, it’s likely one of two causes. First, you may not be chewing your food well enough and need something to “wash it down” with. Second, you may not be drinking enough during the day. We are trained culturally to drink during meals. Many of us forget to drink during the day and then realize that we’re thirsty during mealtimes. We then play catch-up. If you chew your food well enough, and drink enough throughout the day, you most likely won’t need to drink during meals. Wait to eat until you’re hungry. This may sound like a simple concept, but it’s really not. Many people eat before they’re hungry because it’s a convenient mealtime, or just because they feel like it. The body is designed to let us know when it needs more food by letting us feel hunger. If we eat before then, we’re giving the body more than it can handle, and it won’t digest well. Try adding 1 tsp of organic, unfiltered apple cider vinegar to ~ 4 oz water 15 minutes before each meal. This stimulates your stomach to begin secreting acid so that it’s ready even before food comes. Reduce antacid use. If you have heartburn, try some of these ideas above first! Antacids do exactly what they say they do….reduce stomach acid. It’s very hard for your stomach to digest proteins without adequate acid. It’s also difficult to absorb certain vitamins such as iron and calcium without proper stomach acid. If you’re a patient at Vital Source, then you’ve likely heard a thing or two about detoxification. One of the best methods that our bodies have for detox is through regular, healthy bowel movements. For this reason, it’s important to have at least one, if not 2 to 3 bowel movements per day. This keeps unwanted wastes moving out of our system on a regular basis. When stool sits in the colon for too long, it prolongs the time that any unhealthy waste products are in contact with the body, some of these may even be re-absorbed, increasing the body’s toxic burden. It is also stressful mechanically for the colon to hold stool for a long period or to hold a large amount of stool at any one time. Increase water intake. It is important (for many other reasons as well) to drink at least 1/2 your body weight in ounces of water per day, or more if you’re active and sweating throughout the day, or if you drink a lot of diuretics (coffee, tea, alcohol, etc). This provides adequate moisture to the stool. Drinking a large glass of warm water upon rising in the morning can also help to bring on a bowel movement. Increase physical activity. Moving the body helps to initiate bowel movements. It doesn’t have to be intense exercise, something like yoga or walking work well. Increase fiber intake, especially soluble fibers such as psyllium, ground flax seed, veggie and fruit skins, and legumes. Fiber provides bulk to the stool to help with quicker and easier passage. The typical American eats less than 10-15 grams of fiber daily. Ideally, everyone would eat 50 grams of fiber per day. This may be hard to shoot for, but it’s generally easy to get far more than 10-15 grams per day. Try belly massage. Gently massage your belly in a large circle, clockwise, starting and ending below the belly button. This simulates the natural movement of stool through the colon (known as peristalsis). Reduce stress. Easier said than done, but it bears mentioning. Stress decreases peristalsis, the muscle contractions that move stool through your colon mentioned above. All the tips mentioned above for enhancing digestion also help with elimination. Try those too! Probiotics have been a hot topic in the health industry the past several years. A lot of research has gone into these little organisms. Through this research, we’ve learned a good deal about the function of our intestinal “flora” and about the benefit of probiotics. Probiotics are strains of healthy bacteria that normally inhabit the intestine. Researchers have actually discovered that there are more bacteria than there are cells in our bodies (primarily residing in the colon)! These bacteria have many beneficial (if not vital) functions in the body. They help to digest the food that we eat. They enhance immune function by preventing unhealthy bacteria and other infections from taking hold in the body (they out-compete them for food and space). They actually synthesize many important nutrients that the body utilizes including vitamin K, biotin, folic acid, and short chain fatty acids (food for your colon cells). Healthy colon bacteria play many more complex roles in the health of the digestive tract and the body that are beyond the scope of this newsletter. Simply put, they are very important. A fun tidbit…it has been postulated that the appendix (an organ previously thought to have no purpose) is actually a storage area for healthy colon bacteria that are released after infection to replenish the intestine back to a healthy quantity. Theoretically, we obtain these healthy bacteria from a young age, starting at birth when we are exposed to our mothers’ vaginal flora. We then receive them through breast milk, and eventually through the foods that we eat. Unfortunately, in this day and age, many children are born through c-section and many are not breast fed. The foods that we eat are more “sterile” and less nutritious than they used to be due to modern intensive farming practices and food processing. We also vastly deplete our healthy bacteria any time we take antibiotics. As a result, “dysbiosis” is a very common health problem. Dysbiosis occurs when unhealthy or pathogenic bacteria outnumber healthy bacteria in the colon. Dysbiosis can either cause or exacerbate a whole slew of symptoms and conditions ranging from digestive discomfort and irregular bowel movements to allergies, foggy-headedness, frequent infections, joint pains, and many others. Increase fiber intake and reduce sugars. Healthy bacteria thrive on fiber. Excess carbohydrates (sugars) can cause overgrowth of unhealthy bacteria and yeasts, which can lead to dysbiosis. Fiber helps to decrease this response and is a great replacement for sweets. Eat fermented foods. Fermented foods contain healthy bacteria as a result of the way they are made. Examples include sauerkraut, kim chi, kombucha, high quality yogurts, and tempeh. Take a high-quality probiotic supplement. These usually contain strains of acidophilus and bifidobacterium. It is important to note that not all probiotic supplements are created equal. Make sure to do your research or buy from a trusted source. Make sure it’s a reputable company, and that the company has the product tested by a third party to guarantee potency at least periodically. You can ask these types of questions at a health food or supplement store. Since probiotics are live organisms, if the product is not manufactured or stored properly, they will die, and won’t do any good when taken. High quality probiotic supplements often exceed their label claims, so there’s a big difference. Try the treatments above for enhancing digestion and elimination. Poorly digested food (especially proteins and carbohydrates) encourages growth of unhealthy bacteria and yeast. This problem is worsened when food sits in the colon for long periods of time. Proper digestion and elimination encourage a healthy flora balance. In summary, hopefully some of these concepts related to the digestive health will be helpful for you. It’s a big topic, and too much to cover in depth, but these general tips can be very helpful for many people. It’s often the simple things (such as chewing), that are overlooked, and make the biggest difference. Any change that you make to enhance your digestion, elimination, or flora balance should make a positive impact. And don’t forget, “you are what you eat”, so remember to eat healthy!